Attorney Elizabeth Conolly joined Stackpole & French Law Offices in 2014. Liz assists clients primarily in the areas of civil and commercial litigation, estate planning, estate and trust administration, general corporate matters, and succession planning for families and businesses. Liz is a skilled and dedicated advocate who works closely with clients to achieve successful outcomes in a wide variety of disputes in court and through negotiated settlements. Liz’s litigation practice encompasses representing individual, corporate, and nonprofit clients in disputes relating to contracts, real property, construction, landlord/tenant matters, divorce and family law, creditors’ rights, collections, and foreclosures. Liz also assists clients with all aspects of estate planning including the preparation of advanced health care directives, durable powers of attorney, wills, trusts, and Lady Bird Deeds, and assisting individuals and families with the administration of trusts and estates both in and out of probate court. 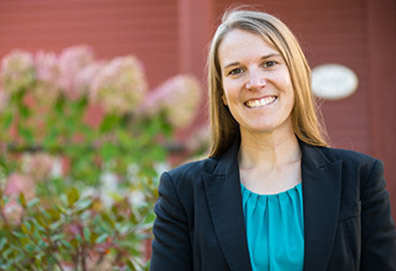 Liz is admitted to practice law in Vermont and California, as well as the United States District Court for the District of Vermont. Prior to joining the firm, Liz worked for a San Diego law firm assisting clients in civil rights and correctional cases. She also worked for an insurance company focusing on multi-state insurance statutes and regulations and general corporate compliance. While in California, Liz provided pro bono legal services for the San Diego Volunteer Lawyer Program. Liz is originally from Kinderhook, New York. She graduated from St. Lawrence University in 2007 with a B.A. in History and a minor in African Studies. After college, Liz moved to Colorado and then California where she attended the University of San Diego School of Law. During law school Liz was a member of the San Diego International Law Journal and clerked for two San Diego law firms, gaining legal experience in the areas of employment, business, insurance, and product liability. Liz is an active member of the Rotary Club of Stowe and the Vermont and Lamoille County Bar Associations.